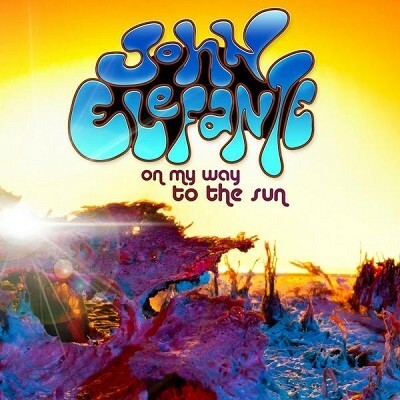 Depending on where you live in the world, the religiously punned 'On My Way To The Sun' is either the first solo album for three, or fourteen years from John Elefante. Where that confusion lies is that the Christian motivated lyricist and singer’s previous release 'Revolution Of Mind' was put out under the name John Elefante and Mastedon in the USA in 2010, while being released here in the UK as ‘3’ a year earlier purely under the band name Mastedon. Either way, what isn't up for debate is that the one-time Kansas frontman is one of the most talented, natural vocalists AOR has seen (not a claim to be made lightly), with his smooth, easy, yet powerful delivery capable of raising even the most lacklustre of song high above the ordinary. Thankfully Elefante very seldom deals with material that isn't worthy of his voice, with his 1999 album 'Defying Gravity' still being a collection of songs that I never tire of hearing. 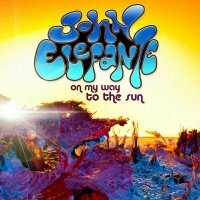 However, with 'On My Way To The Sun', he may just have bettered what must surely have been viewed as the pinnacle of his solo work up to now. The voice is still intact, as are the lush, yet focused AOR grooves and melodies; however this time JE has married these aspects to a harder hitting guitar attack and the odd nod to the version of Kansas that actually precedes his time in that band. His last release featured a reworking of Kansas-classic 'Dust In The Wind', complete with a guest appearance from Kerry Livgren. This time however it is his ex-Kansas mate Rich Williams and one-time (and again current) Kansas violinist David Ragsdale who appear on the album opening 'This Is How The Story Goes', the pair lending a truly authentic sound that their main band would thoroughly approve of. It is quite a beginning, but with John handling much of the guitar work himself, the harder hitting edge remains, but not to the detriment of the sublimely melodic 'Where Have The Old Days Gone', or lively, bright title track. 'All I Have To Do' positively thrives through an atmospheric keyboard motif and driven riff, while 'The Awakening' takes us right back to the layered voices and dreamy, yet pointed sounds that made 'Defying Gravity' such an essential album. As long-time followers of Elefante will expect, his lyrics across 'OMWTTS' are mainly focused on his Christian beliefs, but here the intensely personal 'This Time' adds a new and welcome twist, the song becoming a highlight on an album full of them, while the countrified acoustic, Beatles-y 'Confess' heads in the other direction with similarly strong results. Add to that the laid back 'We All Fall Short', pulsating 'Don't Hide Away' and positively good time stomp of 'Half Way Home', and 'On My Way To The Sun' is a triumph and put quite simply, the best slice of energetic, self aware melodic rock I've heard so far this year.